LIVING THE AIRSTREAM LIFE is illustrated with rare and exclusive images from the official company archives, an authoritative and entertaining guide to the wildly popular, beautifully designed luxury recreational vehicle that has become a cultural icon, embodying the American spirit of freedom and adventure—and the ideal in mobile living. With its distinctive silver-bullet shaped profile, the Airstream has been an integral part of the American recreational landscape for more than eighty-five years. Since the 1930s, thousands of Americans have used it as a personal canvas to paint their own unique story as they’ve traveled the road of life, and today, these stunning, nostalgia-laden vehicles are more popular than ever. 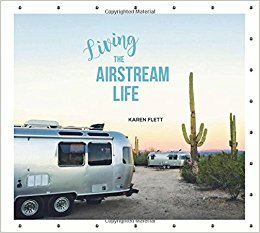 In LIVING THE AIRSTREAM LIFE,author Karen Flett tells the unique story of the designers who have transformed the brand into a mainstay of American life and the dreamers who have found their home, and their heart, in an Airstream. LIVING THE AIRSTREAM LIFE is a tour along the diverse roads aficionados have taken in chasing their Airstream dreams. Stunning color photographs featuring new and vintage versions and compelling stories capture the allure of the Airstream and offer advice and insight on the practicalities of adopting this lifestyle. With spectacular photography and compelling stories, LIVING THE AIRSTREAM LIFE offers inspiration for those actively pursing the dream of life on the road—whether for permanent living or as a temporary escape from the daily grind—and everyone who wants to live vicariously through those who dare. Volkswagen Beetles and their variants are some of the most iconic and easily recognizable cars on the road. The classic air-cooled Volkswagen Beetle, officially the Volkswagen Type 1, is regarded as one of the most important and well-engineered vehicles of the twentieth century. It was the most popular imported car in America in the 1960s, and before that it enjoyed a humble beginning as “the people’s car” in its native Germany. 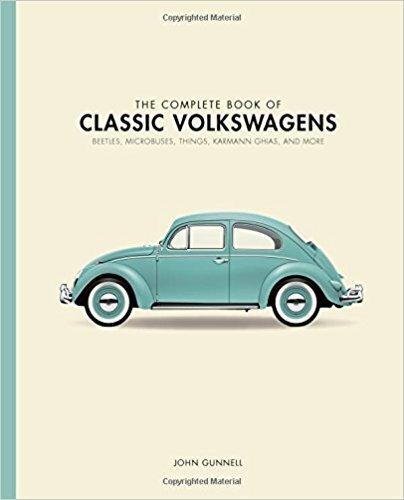 THE COMPLETE BOOK OF CLASSIC VOLKSWAGENS by John Gunnell encompasses the evolution of the popular Beetle as well as other variations of Volkswagen’s air-cooled cars, vans, and trucks. Thoroughly illustrated, this is an invaluable reference to Volkswagen’s collectible and iconic cars. The history of VW automobiles is just as colorful as the hues they were manufactured in, and this book illustrates the full story. German automakers originally sought to supply their countrymen with an automobile that was easy to mass produce. By 1938, they finalized the design for the VW “Bug”–the first rear-engined, rear-wheel-drive configured car. In its heyday, the little rounded Beetle was produced at a rate of more than one million per year. Today, with more than 23 million cars built, the Beetle holds the record as the most-produced passenger car of all time. But the Beetle is only one part of the air-cooled Volkswagen story. The rest–from Type 2 vans, pick-ups, and campers to the Type 113 “Super Beetle”–is included here. If you’re the owner of a Volkswagen or if you just love their iconic look and you’re interested in their evolution, this book deserves a place on your bookshelf. 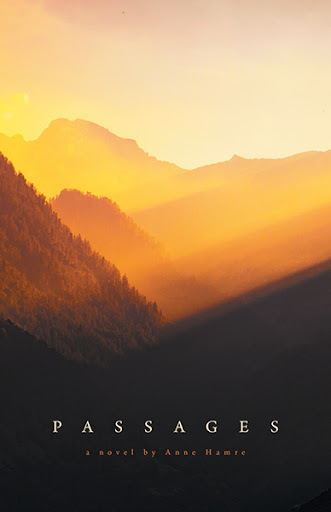 PASSAGES by Anne Hamre is set in the early years of the 20th Century, when travel was measured in increments of days and weeks rather than hours and minutes, this epic family saga transports readers across three continents—Europe, Australia, and North America. It chronicles not just the disparate climates and lifestyles encountered in such far-flung places and the long passages between them, but the lives that are changed by these travels. We follow Anne Roberts and Frank Evans from their first encounter on Anne’s family farm in North Wales, through the evolution of their friendship, romance, and eventual marriage. While Frank goes off in a multi-continent search for affordable land where he can support the young couple and fulfill his dream of starting a dairy, Anne defies society’s expectations and, acting upon her considerable drive, intelligence, and independence, becomes a school teacher. When the two finally relocate to Canada and marry, Anne demonstrates the same determination, will, and adaptability that allowed her to flourish during Frank’s long travels and many travails and commits all her energy to making their marriage and their future successful. 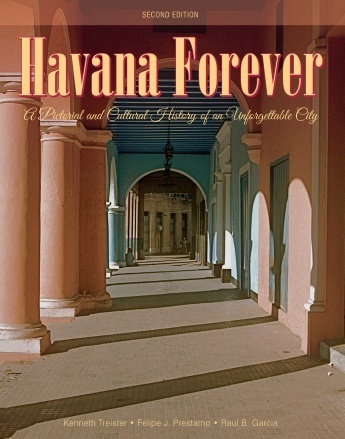 HAVANA FOREVER: A Pictorial and Cultural History of an Unforgettable City by Kenneth Treister, Felipe J. Prestamo and Raul B. Garcia explores the beauty and majesty of Havana and captures in beautiful photos the soul of a great capital. This beautiful book, published by Schiffer, offers a nostalgic look at the Cuban capital’s glorious architectural legacy and rich hoistry. Havana has always been a dynamic city, and its unique architecture makes it one of the most beautiful cities in the world. Until recently, the closed nature of contemporary Cuban society has frozen and preserved much of Havana’s urban design and simultaneously prevented many visitors from experiencing its wide range of architectural influences, which cross-reference to create a stunning, unified “work of art.” In this documentary-style history of old Havana, readers are invited to tour the city’s buildings alongside its culture, people, plazas and parks, pedestrian environment, monuments, food, music, dance, colonial history, and iconic traditions, from cigars to the Tropicana Supper Club. Learn why Havana has the classic order, neighborhood balance, architectural elegance, and pedestrian harmony that urban planners long for, and discover the ways in which it is not just a city but a celebration of the Cuban way of life and its Creole roots.